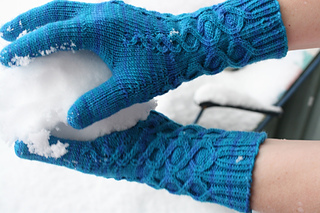 FroFrost flowers, in German “Eisblumen”, inspired me to this design. 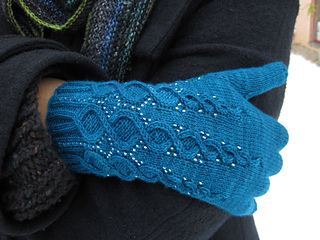 Lines of cables make their way from the cuff to the hand, resulting in a well fitting cuff keeping the cold outside. 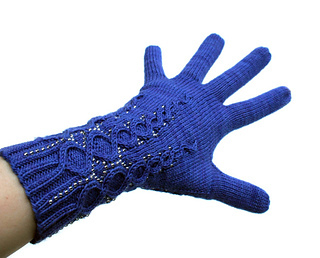 They are framed by beads which will vanish as well as the cables once you reach the upper part of the hand. 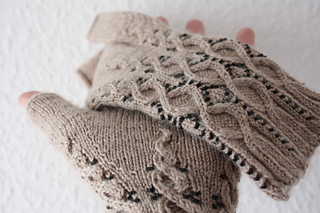 The fingers will knit up in a breeze as they are in plain stockinette. 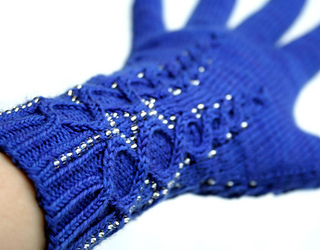 The pattern features a detailed tutorial on how to knit with beads! 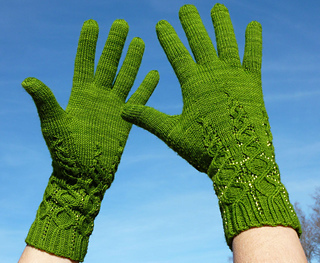 These gloves are knit using the “magic loop” method, however you can use double pointed needles or two circular needles if you prefer. 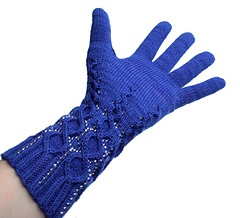 This is a chart based pattern!